This school year I will have 2 preschoolers. I’ve had 2 preschoolers at the same time before, but this time they will be the same age. My twin boys will be 3 1/2 this fall (where did the time go?) and I will be doing some preschooling with them. During the past 7 years of homeschooling, I’ve tried quite a few preschool resources with my 4 older children. Here are some of the ones we’ve tried and liked (plus one that we haven’t tried yet because it’s brand new). 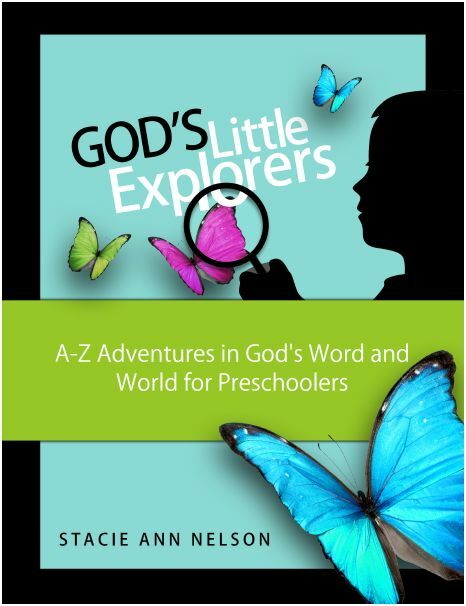 God’s Little Explorers is a simple, at-home Christian preschool curriculum. Explore God’s word with your 2-5 year old using the 28 lessons that cover a thematic unit and new letter each week. 1) Bible Adventure: This is the time to read the Bible story, sing any recommended songs, and do a related craft or project. 2) Theme Adventure: During this time, we explore the theme with crafts, science projects, cooking projects, and so forth. 3) ABC & 123: This time specifically introduces an alphabet letter. We also explore colors, shapes, and numbers during the year. 4) Life Skills: Preparing a preschooler for life is much more than teaching them the ABCs! Each week, we review various self-help skills, learn to complete chores correctly, practice manners, and do a service project. I’ve also listed additional activities you can use to substitute for ones you might not like or have time to complete. 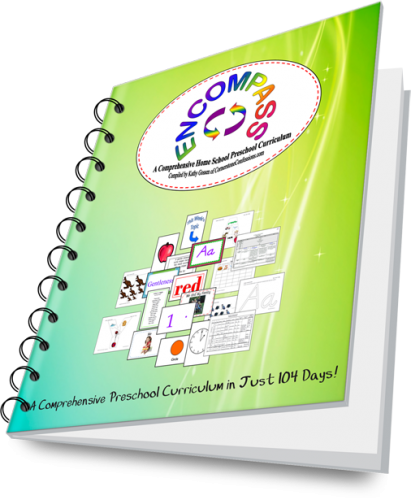 Encompass is a 4-day per week (26-week) homeschool preschool curriculum created to include morning board activities, group activities, and workbox activities. Together these three activity types guide a preschooler through the basic developmental and educational skills expected of a 3 or 4 year old including by not limited to fine and gross motor skills, music, art, math, Bible, recitation, literacy, and cooking skills. Raising Rocks Stars Preschool is a Bible base preschool program based on the book My ABC Bible Verses, and includes everything listed above. It’s ideal for ages 4-5. 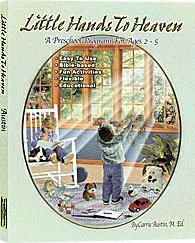 Little Hands to Heaven is a collection of 33 units based on stories from the Bible. Each unit has a theme centered around Bible characters. The activities in each unit coordinate with the daily Bible stories. Simple daily plans have the work already done for you. Quick and easy activities require little or no preparation and use only materials you’re likely to have on hand. There is no literature to gather. Simply use your Bible or purchase one of the listed Bible storybooks. 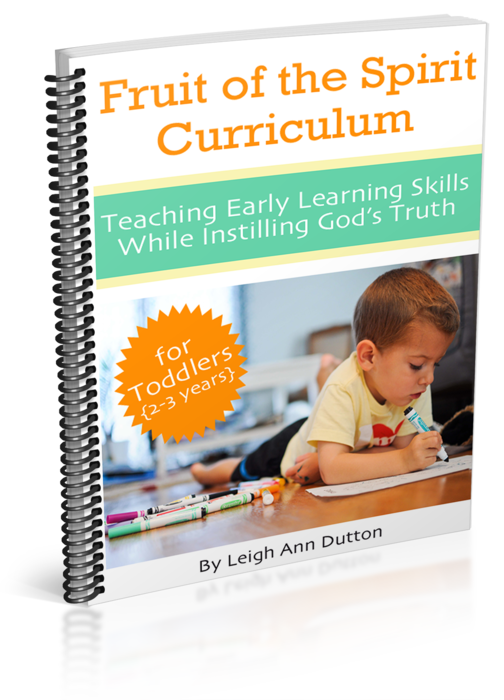 This complete Toddler and Preschool Curriculum is designed especially for Homeschool or church daycare. It is set up to cover one letter per week. In addition to a letter a week, it includes a weekly theme that starts with the letter of the week. The same color, shape, and number are worked on all month long. This curriculum begins in August and ends in May. The lessons include ideas for teaching: Letter Skills, Numbers, Shapes, Color, Art, Music, Game Time, and Snack. Every lesson also includes a scripture to memorize and a Bible story. 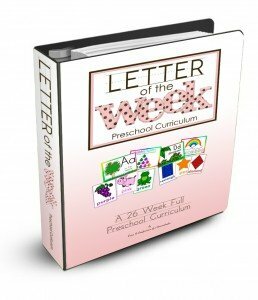 The Letter of the Week is a full 26 week preschool course designed to give your student a head-start on preparing for kindergarten! 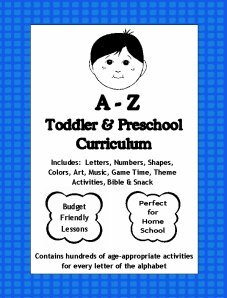 It is a 26 week curriculum that’s full of educational activities that focus on the letter recognition, sounds, number recognition, counting, basic math skills, pre-writing practice, and all the necessary fine-motor skills that will be required for your preschooler to be ready for kindergarten! 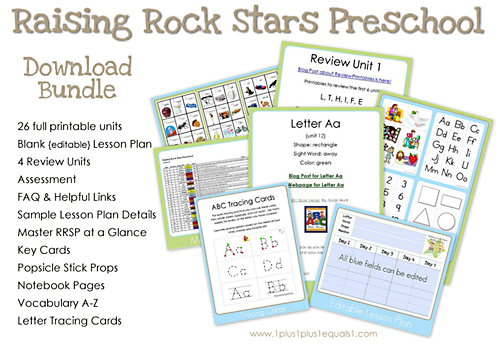 Included are weekly lesson plans that cover all the subjects a preschooler needs and more! 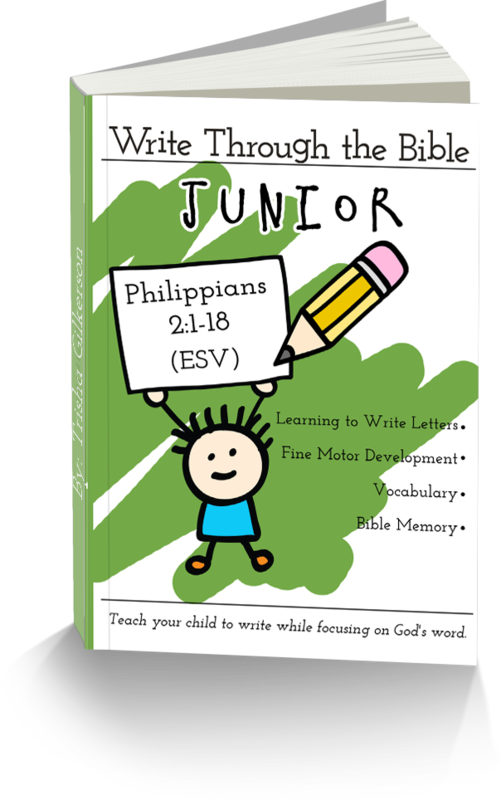 Write Through the Bible, Junior is a new interdisciplinary study you can use to teach your young child to write while focusing on God’s word. 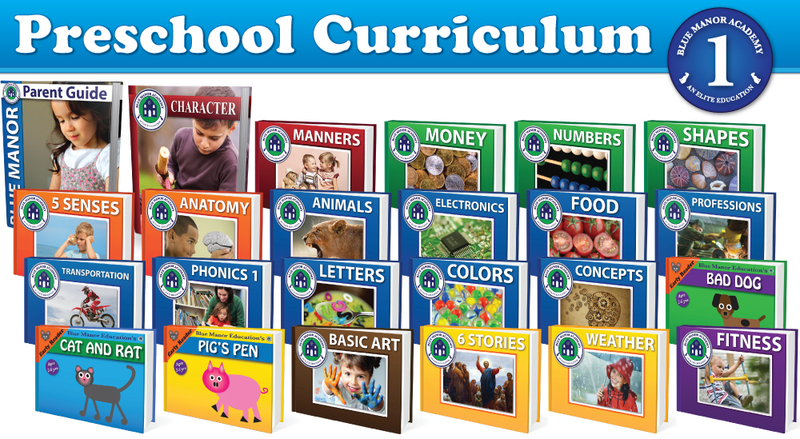 This curriculum, geared towards 4-6 year olds, is a full-year curriculum. Study Philippians 2:1-18 and learn what it means to have a heart of humility. The Fruit of the Spirit Curriculum for Toddlers is divided into eighteen weeks of lesson plans designed to help you make God’s Word central in your child’s everyday learning. Together with your child, you will explore love, joy, peace, patience, kindness, goodness, faithfulness, gentleness and self-control in ways that you and your child will love. The Fruit of the Spirit Curriculum for Toddlers is designed to be done three days a week. Our Christian preschool curriculum will not only prepare your children for kindergarten, but will also lay a strong physical, intellectual, and spiritual foundation that will benefit them for the rest of their lives. The best part is that our lessons require zero preparation and zero teaching experience. Give your children an elite foundation and be amazed by the ripple effects. This is the complete set: 23 individual books and an additional “how to” teaching manual. Blue Manor Academy takes Christian preschool education to the next level! Level One is uniquely designed for parents like you who want to give your preschooler a tremendous head start. 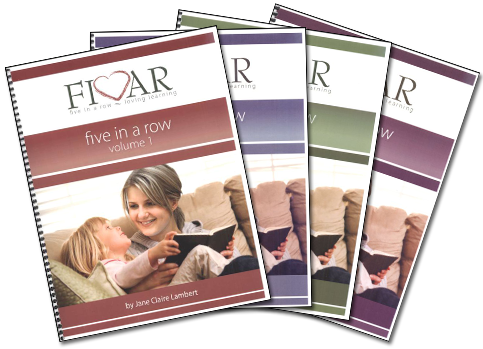 Five in a Row was created by Jane Claire Lambert, a successful homeschool teacher with more than 17 years of experience. To use Five in a Row, just pick one of the 70 books used in Five in a Row, locate the corresponding lesson plan in your teacher’s guide, read the story aloud each day during the week and use Jane’s suggestions and lesson plans to lead your children on a wonderful learning adventure. It’s that simple! This year I’ve decided to use Little Hands to Heaven from Heart of Dakota (this one is probably my favorite). It was the very first preschool curriculum we ever used. 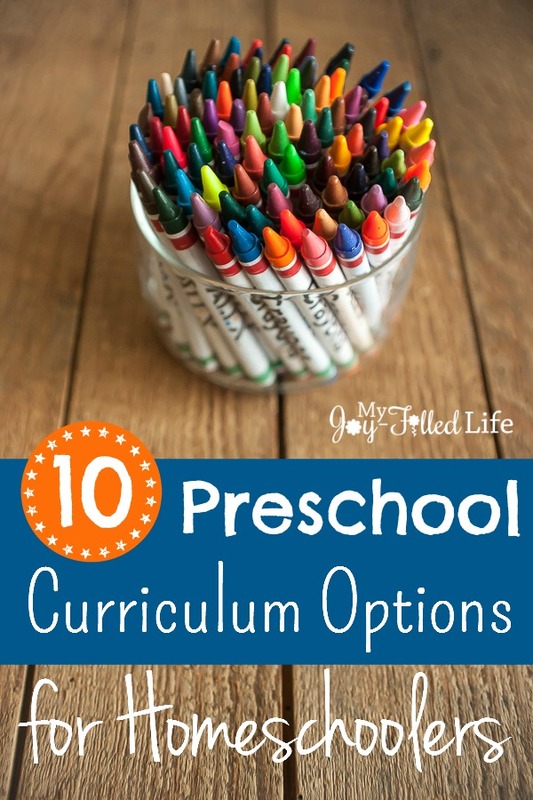 However, being the curriculum junkie that I am, I’m sure I will be using ‘a little of this and a little of that’ when it comes to our preschooling this year; we own all but one of the resources on this list (like I said, curriculum junkie). What are your favorite resources/curriculum for preschool? Oooh, I’m delighted you shared this! I have a 3-year-old who I will need to keep busy while I homeschool the older one. I was thinking of doing some basic Pre-K stuff with her. So cool you shared Five in a Row. I had just bought that for us to use periodically this year! Yay! I made a good curriculum choice. Thank you for sharing and for linking up to the #SHINEbloghop! How could the $500 help my family… Well i have a husband who is disabled and two kids this would help up to get the curriculum we need to do homeschooling. This is a great list! I knew about several, but you have a couple new ones for me to look at. Thanks for sharing! 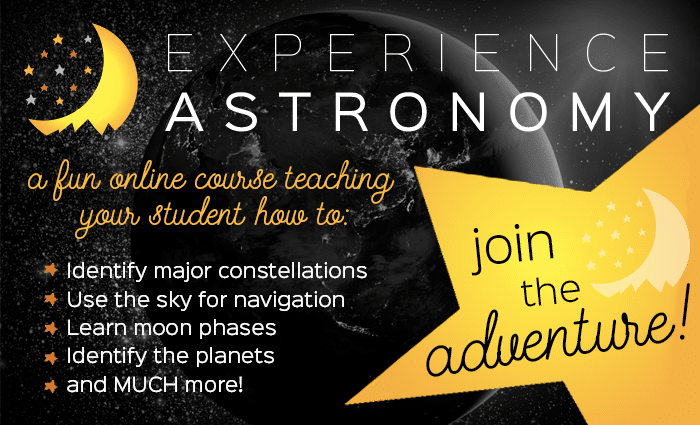 Great options for homeschooling! This list will be helpful to many families! Thanks for sharing Sarah! Great resource for new homeschoolers! We loved FIAR! I loved http://www.preschoolpalace.org. It worked well for us because we were able to adjust as needed and it gives a layout of each day!